When the opportunity came up to purchase Boating NZ, New Zealand’s number-one boating magazine, from Fairfax Magazines, new owners and publishers Tim Porter and Brett Patterson saw a once-in-a-lifetime chance to add their own touches to a magazine they’d been part of for years. 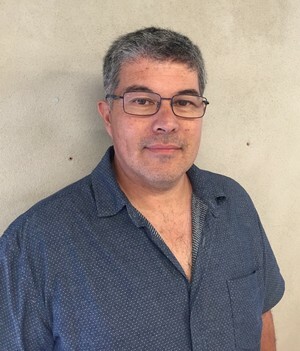 Tim Porter (pictured above) started in an advertising sales role with Boating New Zealand in 1993. He’s filled a variety of roles for the magazine’s publishers ever since, including senior management. Brett Patterson became Boating NZ’s sales manager in 2000, quickly building a sizeable client base thanks to a sound and balanced understanding of the fishing and boating businesses he dealt with. His extensive product knowledge, media savvy and marketing acumen continues to be appreciated by Boating NZ’s advertising partners. Tim and Brett are passionate about all things marine, especially marine magazines. As publishers, they have a very clear mission statement: to provide the best marine content in New Zealand, whether in print or via digital media. Under the new regime, Boating NZ’s management and staff will be in a better position to respond quickly and effectively to the needs of the magazine’s readers and advertisers. Tim will be based in Wanaka to better service the South Island while Brett will be based in Auckland. The publishers promise to provide every advertiser in Boating New Zealand, some of whom have partnered with the magazine for more than 20 years, with personal and effective service that helps build their business. The new publishers are pleased to announce they have retained the same amazing team that currently brings you Boating New Zealand magazine each month. They officially took over the title on April 1, 2016.